Costa Rican cuisine arises from the confluence and contributions of 3 very different cultures: that of the Native Americans, Spanish and African peoples. Food used in the pre-Columbian era is combined with the Spanish Mediterranean influence and has been shaped by the contributions of the African peoples who settled on Costa Rican soil in past centuries. The union of these 3 different worlds has given rise over time to delightfully unique gastronomy. 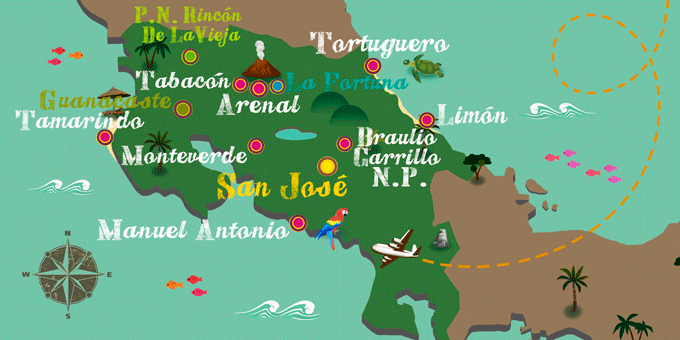 If Costa Rica has caught your attention, leave us your number so we can call you to discuss the voyage that awaits you.